Yesterday was the first Monday of 2017, and while many people were home watching football, I was one of the few people in my office building working. But apparently that was a bad decision because when I left the office last night, I found a flat tire waiting for me when I got to my car. So I did what any normal adult would do, I called my Wife to tell her what had happened, then I took off my jacket, rolled up my sleeves, and put on the spare tire so I could make it home. This morning, I’m sitting in a tire store just up the street from my office getting the tire repaired. Thankfully, the tire was punctured by a small nail so this whole ordeal only cost me a couple of hours of my time and $37 to fix the tire. You see, I had a plan for how to deal with this situation. 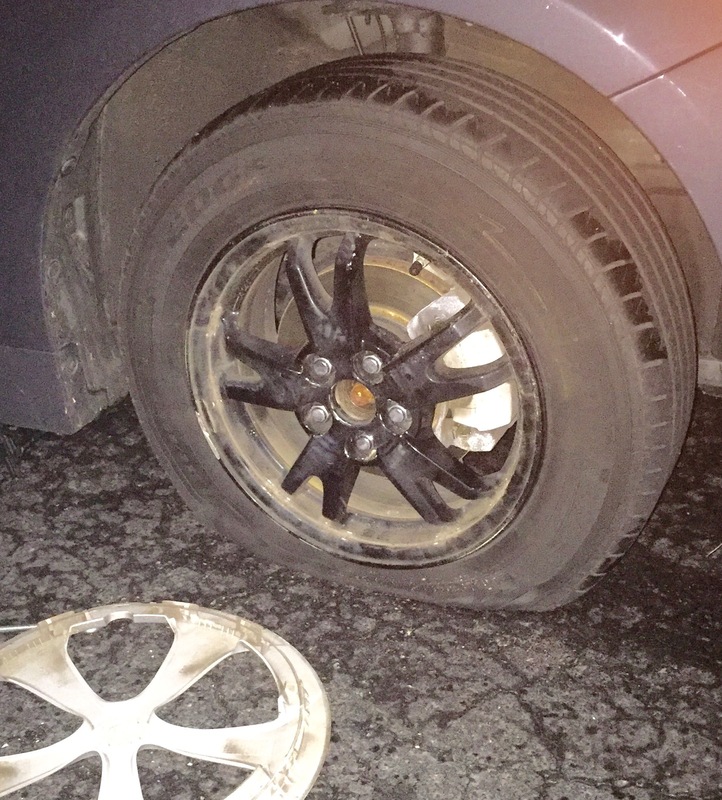 I had a spare tire and tools in the car to replace the flat until I could take it to a shop to get fixed. But what if I didn’t have the spare in the care? Or there were no tools? Then what? Then I would have been stuck until I could get a tow truck to come pick up the car and take it to the tire shop. If I didn’t have roadside assistance with my car insurance (I do), that would have cost me another $40-50 to get the car towed. If I had been stuck in the middle of nowhere when I got the flat, this could have been an even bigger problem and cost me even more money. So without a plan that consisted of carrying a spare tire and tools in the car, roadside protection with my auto insurance in the event I was incapable of changing out the flat, and a tire shop down the road, I would have been out a whole lot of time and a lot more money. How Does this relate to Estate Planning? Here’s the thing about flat tires. You never know when or where you are going to get one. 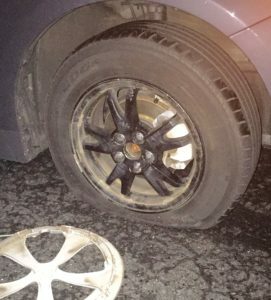 They can happen while you are driving your car and cause an immediate blow-out (and potentially a deadly crash), or they can happen with a slow puncture that turns into a flat tire while you are parked like happened to me last night. It’s the same way with people. We never know when something catastrophic might happen that could cause an incapacity or worse to someone we love or even to ourselves. Nobody likes to think about these events, but they happen every day. An estate plan is like the spare tire you have in your car. It’s your contingency plan in the event something goes wrong. 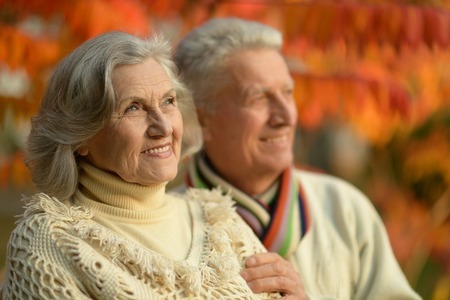 With an estate plan in place, your loved ones have a plan for what to do in the event of an emergency. But without a plan your loved ones are stuck. Not only will they lose precious time and money to lawyers and the court system to resolve issues that could have been dealt with ahead of time, but they will also incur aggravating levels of stress at a time when they are supposed to be grieving and coming together as a family. So do yourself and your family a favor. Make sure you have a spare tire in your car and an estate plan in that fireproof box in your closet. And if it has been more than two or three years since you have looked at your plan, it might be time to review it again. If you have any questions or would like to schedule a family wealth session with an estate planning lawyer at The Hart Law Firm, please feel free to call us at 919-883-4861 or fill out our online contact form.